Article: Modern R&R: What are the 4 motivators? Modern R&R: What are the 4 motivators? Like many other variables, R&R also has changed in a modern workplace. Employers have to keep in mind the following 4 motivators of R&R that increase productivity. 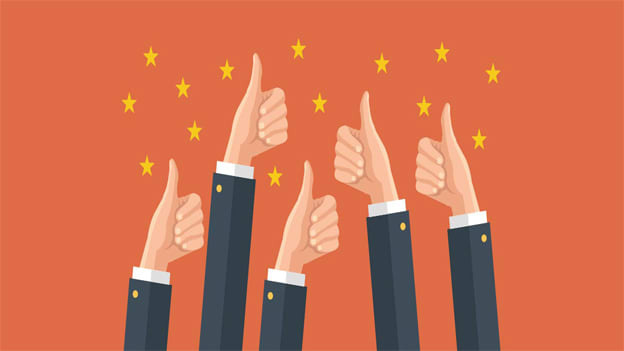 Employee Rewards and Recognition has come a long way from the era where it was a “good-to-have” engagement tool to the present where it is a “must-have” strategic engagement initiative these days. Companies no longer create and invest in an employee Recognition and Rewards program because it's the right thing to do; Instead, they see it as an essential investment in driving motivation and productivity across the workforce to maintain their edge in a competitive marketplace. Keeping pace with this change in approach towards Rewards and Recognition, technology to implement these programs has also evolved by leaps and bounds over the years. Today there is a plethora of options to choose from, but the evolution of SMAC (Social, Mobile, Analytics, and Cloud) technologies and the even more recent adoption of chatbots into mainstream enterprise software has opened up some very interesting options for modernizing R&R in a business operation. For HR leadership grappling with challenges of a multi-generational workforce, the need to have a seamless experience across platforms, the need to have data-driven program constructs and ROI demonstrated on spends, technology holds the promise to help better engage and motivate the workforce. Recognition is one of the core motivators for employees at the workplace. In fact, lack of adequate appreciation for good work done has been cited as one of the top reasons for employee disengagement. In this era of social collaboration and instant messaging, a delay in communicating recognition can be almost as bad as not recognizing the team member. Technology enables managers (and peers) to provide instant recognition to team members and the ubiquitous presence of mobiles has made the whole process seamless and near real time. It doesn’t matter where in the globe, in what time zones the giver and the recipient are – all it now takes is a swipe, a few taps on the virtual pad and a click on the Appreciate button. The modern cloud platforms make it easy for HR to initiate and deploy R&R programs globally. Intuitive interfaces eliminate the need for extensive training for the employees and seamless integrations through API’s (Application Programming Interfaces) and other integration methods make it easy to integrate recognition into the daily work processes. The impact of recognition is increased multifold when others get to participate in the event. Traditionally, recognition has been given top-down and others have been polite by-standers. Be it a presentation in the monthly town-hall or a mail from the leadership, so far it has not been easy for others to join in on the conversation and add their praise. With the rise of enterprise social platforms, combined with the rise of mobiles, today colleagues anywhere can join in and actually participate in the recognition. Indeed, the act of recognizing is no longer just a “notification”, it is now a “conversation,” thanks to technology and that has increased the value and impact of the act manifold. Modern platforms again make amplification a breeze through intuitive and social interfaces. The massive popularity of social platforms like Facebook has made most people comfortable with such networks. In fact, with several of the design elements aligned with popular social platforms, the adoption and participation by employees are vastly improved without any additional effort. As technology becomes ubiquitous in nearly every aspect of work, organizations now have access to a vast amount of data about the employee, their interactions, and the outcomes. Till just a few years ago, it would have been a challenge to just establish correlations between recognition and performance. But today with the rise of cloud computing and cheap storage, organizations have the power to develop multivariate models and run advanced analytics on what kind of recognition motivates which employee and at what time. This information could then be fed back to the platform and the manager can be nudged to provide the right kind of appreciation for maximum impact. With the rise of emerging technologies like chatbots making into the mainstream enterprise software, there are exciting possibilities of integrating all of the above capabilities right into the conversations between people. Integrating the power of AI (Artificial Intelligence) and NLP (Natural Language Processing), a bot can monitor chats for reference to good work done by a colleague and immediately prompt the person to send a quick appreciation note. This kind of technology takes away the inertia of going to another platform to initiate recognition and makes it almost the equivalent of leaning over and appreciating a colleague as if having a natural conversation. The above four aspects are but just a brief glimpse into how technology is transforming recognition at the workplace. Technology holds the promise of improving the effectiveness of how R&R is deployed at the workplace and indeed, transform it in the coming years. From once a year town-halls where employees were felicitated for accomplishments that were often forgotten by the others, to cloud platforms that drive instant recognition to bots that nudge one mid-conversation, to pass on a note of appreciation to colleagues based on what you just typed – the world of recognition is changing like never before. As with all shiny new things and powerful tools, there is also the potential for abuse. Companies that want to truly motivate their employees should not only know how to wield the power of new technology but should also do so in a responsible manner that respects the privacy of their workforce. Prashant John is the Co-Founder and Executive Director, Kwench Global Technologies.